There are 3 important things that you can do with remote interviews to make them more personable. 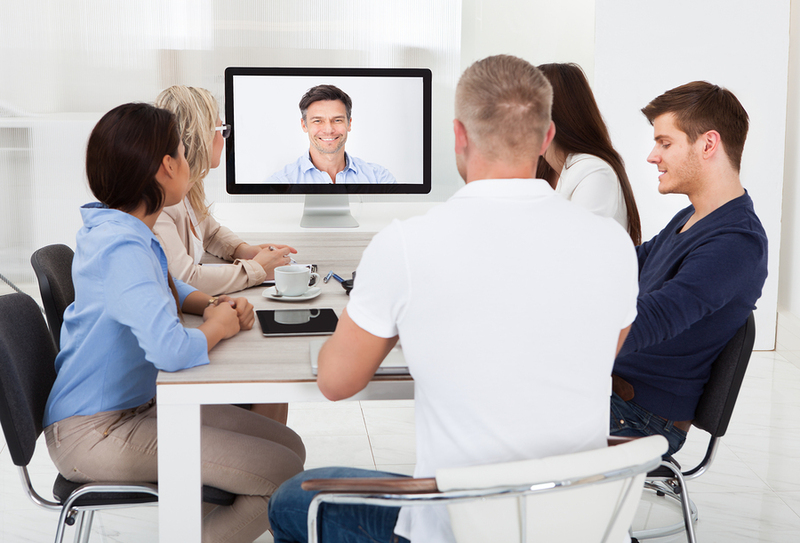 First and foremost, video interviews are key when conducting remote interviews. In order to develop a good sense of the candidate and make the interview more personable, you should be having multiple live video interviews. A live video interview will allow you to see and converse with candidates just as if they were physically sitting across from you in the office. You are both able to see each other, smile, and read facial expressions. Sure, some people will say it’s no big difference to have the interview over the phone rather than video. They will tell you that you can hear the candidate’s tone of voice and personality over the phone, etc. However, the opportunity to be able to talk to someone face-to-face is much more valuable and personable. If you are not already utilizing live videos in your remote interviewing process, do what you must in order to integrate this valuable tool immediately. If you want an interview to be personable, you must be more personable. As you are interviewing candidates, whether the interviews are phone or video, make sure that you have an open and welcoming attitude during the interview. Don’t be afraid to share a little about yourself, your career, hobbies, etc. The more conversational you are and the more you share, the more the candidates will feel more comfortable and be able to paint you a picture of who they are. Of course, in the beginning stages of any interview, you may be the only one conducting initial interviews, or you have someone else assisting you in this. Either way, once you get to the final rounds of interviews, it is important to ensure that the right people are included on the interviews. For example, if you feel like you have the right candidate for the job, before you make an offer, be sure to include others in the final interview process. If the candidate would be working in your finance department, make sure that your finance team meets and interviews the candidate. This not only gives the candidate a welcoming vibe, but it also helps you to ensure that you are hiring for cultural fit as well, obtaining buy-in from the rest of the team. In addition, if you are able to include any other key leaders in the business, do so. The opportunity for final stage candidates to meet and speak with key leaders in your company sets a good tone when it comes to company culture and the value of all team members on staff, regardless of position. What are some things you do in order to make remote interviews more personable? Please share your suggestions below.